A fan, a parasol, a fan and a parasol! 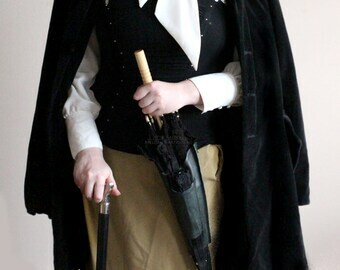 Choose which accessory you need with your steampunk costume to take along for the journey ahead. It's all about the little things that keep us looking cool, and these Battenburg lace accessories are designed to do just that. 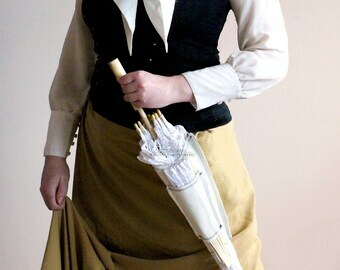 Flair out your lace fan, pop open your parasol and keep them all on hand slung onto your wrist when not in use. 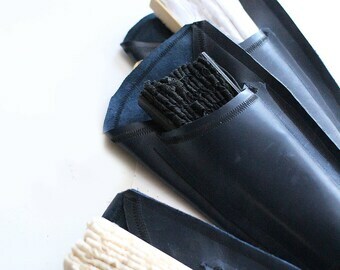 Unique to these parasols is the adjustable leather strap thats looped through the parasol lace canvas, allowing you to remove it and slip it into another parasol you may own, or keep it as is to easily close up the bunchy lace to streamline the accessory for easy maneuverability. 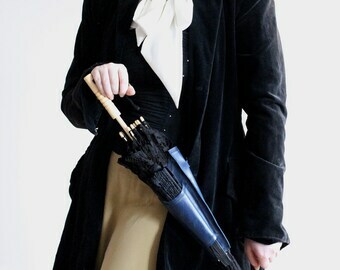 With straps permanently added to the parasol handle and to the fan, it makes for one easy costume set to take with you . When there's no end to the adventure keep your accessories on hand for you to use, and out of the way when the games afoot! Keep tabs on what’s coming to the shop by liking my FB and INSTAGRAM pages! - This item, after full purchase, is checked for any defects, scratches etc. before being processed and shipped. All shipped items are determined to be in excellent shape and condition to be then shipped to the recipient. Got questions about your received item? Send a PM to AtticRaiders and I’d be happy to chat! - Any and all body parts, backgrounds, background stuff and other things in the pictures are not included in the sale of this item. You are purchasing a leather accessory only– parts are not replaceable if and not limited to, broken, stolen, lost, etc.